What if there were a show where celebrities got to talk about what they wanted to talk about – the topics of their true loves and passions? And what if it was fun and funny, and included trivia questions like you’ve never heard before, and actual experts in a diverse array of fields? If you’re the kind of person who’d like to see this, you can GO FACT YOURSELF. GO FACT YOURSELF is a trivia show with a live audience and celebrity contestants, based on the popular podcast created by Jim Newman & J. Keith van Straaten. The heart of the show is a quiz about a topic the guest has chosen for him/herself, followed by the appearance of an actual expert in that topic. Each episode of GO FACT YOURSELF bring together two celebrities, who have told producers three topics they know a lot about outside their field of work. After a brief chat, the topics are revealed and the games begin! Points are awarded for correct answers and gentle teasing is awarded for wrong ones. • (Topic: Jack Daniel’s) What number is on the label of every bottle of Jack Daniel’s whiskey? • (Topic: The Gutenberg Bible) In what language was the Gutenberg Bible printed? • (Topic: “The Mary Tyler Moore Show”) What are the call letters and channel number of the TV station where Mary works? Points are awarded for correct answers and the other Guest attempts to steal the point if a question is answered incorrectly – often with spectacular failure, as Guest 2 may not know anything about Guest 1’s topic! • (Topic: Chicken Husbandry) What are the top three uses for chicken manure? • (Topic: 1986 New York Mets) In Game 6 of the World Series, who was the starting pitcher, winning pitcher, and only pitcher not to give up a run? After a chat with the Expert, the answers to the Clusterfact are revealed and the Guest and Expert get to talk passionately about the topic together. We send away the expert and repeat the process with Guest 2 (Topic reveal, Quiz, Clusterfact, Expert, Chat) before going into the final segment: Fast Facts. • The first episode of “Beverly Hills 90210” aired in the 1980s. • Hasbro made a version of the Game of Life for Millennials, where they have to deal with insurmountable debt. • Only one person named Carrie has ever been nominated for an Oscar in any category. After points are totaled, a champion is declared… What does the champion win? Bragging rights and title of Facting Champion! 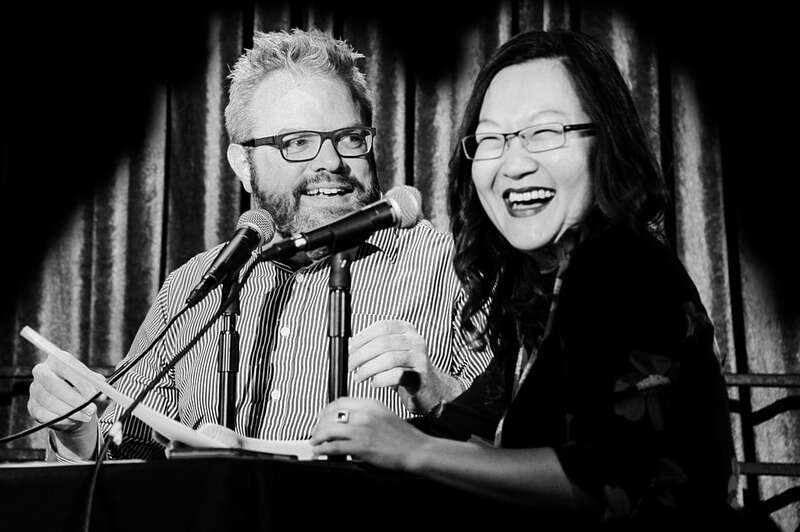 GO FACT YOURSELF is a production of Maximum Fun, the popular podcast network behind hit podcasts including “Judge John Hodgman” and “Bullseye” on NPR.